The art of braising comes down to us from the earliest days of cooking, when ingredients were enclosed in a heavy pot and buried in the hot embers of a dying fire until tender and bathed in a deliciously concentrated sauce. Today, braising remains as popular and as uncomplicated as ever. 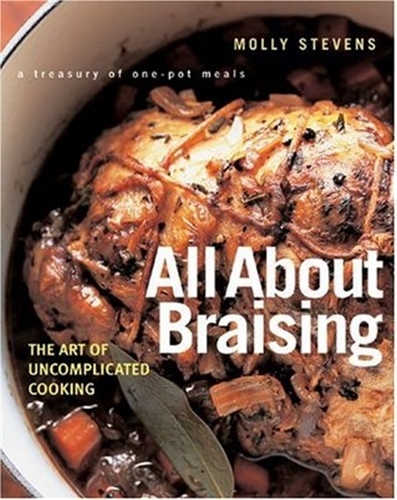 Molly Stevens's All About Braising is a comprehensive guide to this versatile way of cooking, written to instruct a cook at any level. 125 reliable, easy-to-follow recipes for meat, poultry, seafood, and vegetables, ranging from quick-braised weeknight dishes to slow-cooked weekend braises. Hardcover, 481 pages.